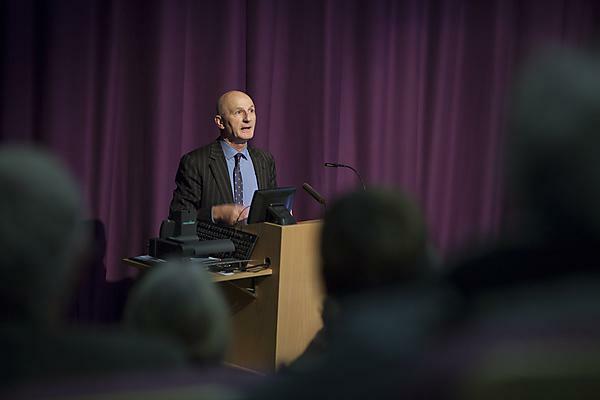 Professor David Coslett, Interim Vice-Chancellor of Plymouth University, has taken to the stage at a prestigious national event to discuss the importance of the creative industries to the UK. Professor Coslett took his place on a panel of four vice-chancellors at the Going Global conference, organised by the British Council, and staged at the Queen Elizabeth II Centre in London on Monday. Drawing upon the University’s own support for the creative industries, through projects such as its Formation Zone incubation centre, and wider Plymouth success stories including Royal William Yard, Ocean Studios and the Plymouth History Centre, Professor Coslett said the arts ought to be placed on an equal footing with fellow STEM subjects, Science, Technology, Engineering and Mathematics. He also highlighted the barriers facing young people wanting to enter the sector, such as government policy, and the contribution that partnership is having on reinvigorating the culture and economy in the South West. “The creative economy is one of the fastest-growing sectors, encompassing media, leisure, culture, arts, entertainment, information and recreation,” Professor Coslett said. “It lies at the heart of successful, innovative business activity, acting as a fundamental driver of growth and development. Professor Coslett was formerly Dean of the Faculty of Arts at Plymouth, and oversaw the move that brought the faculty into the landmark Roland Levinsky Building from its previous location in Exeter in 2007. He also played a lead role in the collaboration to bring events such as British Art Show 7 to the city in 2011, and applications for City of Culture status and the Turner Prize.